Stretching over nine miles long and one mile across through the center of the city, this 1,754-acre forest park is one of the most distinctive and beloved features of Washington, D.C. 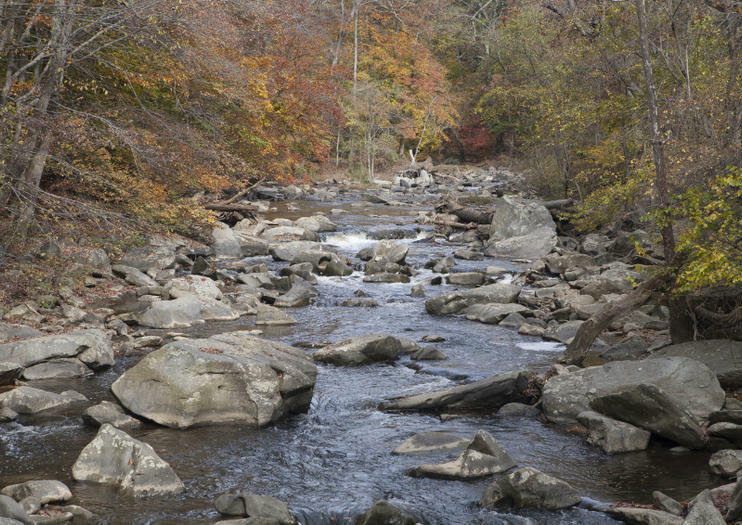 Encompassing a leisurely, winding, and sometimes creek-side drive and numerous paths for walking and biking, Rock Creek Park provides a series of relaxing opportunities to sidestep a purely urban experience of the Nation’s Capital. Listed on the National Register of Historic Places, the Rock Creek Park is home to a few of D.C.’s best-preserved historical buildings and smaller parks: the water-powered Pierce Mill, built in the 1820s; the elegant Meridian Hill Park in Columbia Heights, which features a 13-tier manmade waterfall; and Georgetown’s 18th-century Old Stone House, a small museum and the oldest building in the city. To acquaint yourself with the flora and fauna of the park – especially if you’re traveling with children - visit the Rock Creek Park Nature Center (5200 Glover Road, NW), which includes a wall-mounted beehive under glass and a small planetarium. The Center is free to enter and open Wednesday-Sunday, 9 a.m.-5 p.m.; not accessible by Metrorail or bus, the Center offers a free parking lot. Three Metrorail stations, all serving the Red Line, provide access to sections of Rock Creek Park: Pierce Mill can be accessed via Van Ness or Cleveland Park, and the park’s main walking and bicycle paths are just down the hill from Woodley Park-National Zoo.